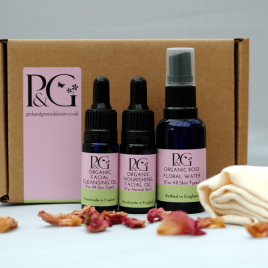 Choose our organic gentle facial exfoliator for natural skincare. It has a sumptuous cream-like consistency and a gentle cleansing action that is suitable for sensitive skin. The exfoliating action in many similar products is achieved by the use of environmentally damaging plastic microbeads. Not ours. We use jojoba exfoliating grains for gentle yet deep cleansing that is as kind to the planet as it is to your complexion. Containing shea butter and sunflower oil this smoothing exfoliator cleanses, softens and moisturizes. Its delicate and sweet aroma of mandarin and lavender lifts the mood leaving you ready to put your best face forward. How to Use: Apply to clean skin. Gently massage in with finger tips. Using light circular movements, concentrate on the forehead, nose, chin and jawline. Avoid eye area. The gentle friction of the beads will stimulate blood flow and remove dead skin cells, helping unblock pores. Rinse off with warm water and pat face dry with a soft towel. 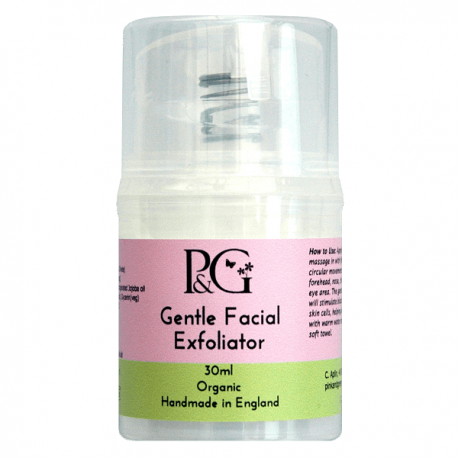 This facial exfoliator is made up from a host of natural ingredients to remove impurities from your skin and leave it feeling soft and smooth. They include sunflower seed oil to soften and nourish, vitamin E, shea butter and jojoba oil. The lavender oil gives the facial scrub a delicious scent while promoting the growth of new skin cells. Sunflower Seed Oil* Softening, nourishing. Rich in Vitamin E, omega 3&6. Shea Butter* – A wonderful moisturiser, containing vitamins A and E. Emollient and very soothing. From the Karite tree which is known as women’s gold. 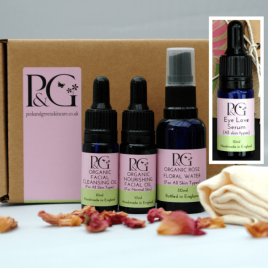 Lavender Oil* – promotes growth of new cells, so valuable for all skin conditions and soothes allergies. I love this product so much, the smell of lavender is so relaxing and calming while the product is a great consistency and goes on well. My skin feels so great afterwards and refreshed. This is amazing. Feels and smells like a spa treatment. Leaves my skin feeling fresh and alive. Really lovely creamy and gentle exfoliator that makes skin feel lovely adn fresh, a real pleasure to use. THe ingredients are fab and I like the pump dispenser also. I have never used an exfoliator before that left my skin feeling loved and nourished the way this does! Its creamy formula is so gentle on my skin, and the tiny grains do not tear at my skin, in the way other products have in the past! I use it once a week/fortnight, and love the feeling of my skin afterwards! I absolutely love this exfoliator, it is super soft and feels amazing on the skin. I am now an avid fan of all P&G skin, my bathroom is overflowing. I love it all, it has helped my red skin so so much. Thank you.